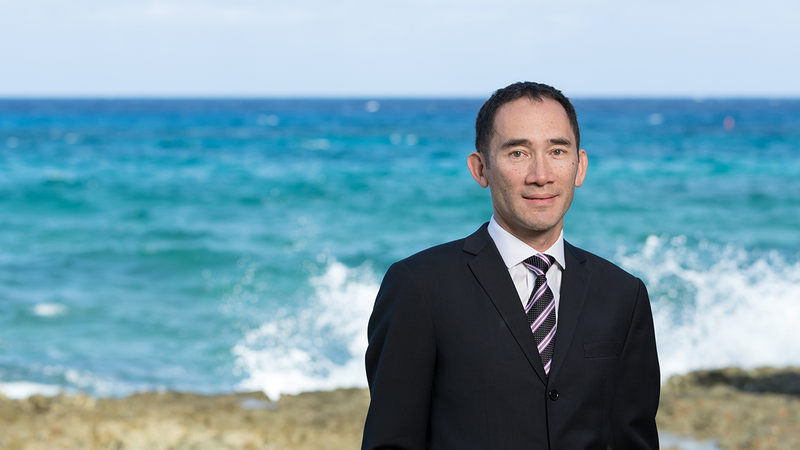 Tim Frawley outlines the effect of regulations that provide guidance on the due diligence, reporting, and withholding obligations under FATCA on Cayman Islands insurance and reinsurance companies. This article first appeared in the Fourth Quarter 2013 (Issue No. 33) edition of the Cayman Financial Review, published by Cayman Free Press Ltd.
On 18 March 2010, the Hiring Incentives to Restore Employment Act of 2010 added chapter 4 to Subtitle A ("Chapter 4") of the US Internal Revenue Code (the "Code"). The provisions in Chapter 4 are commonly referred to as the Foreign Account Tax Compliance Act ("FATCA"). In summary, Chapter 4 generally requires US withholding agents to withhold tax on certain payments to foreign financial institutions ("FFIs") that do not agree to report certain information to the Internal Revenue Service (the "IRS") regarding their US accounts. A similar withholding applies on certain payments to non-financial foreign entities ("NFFEs") that do not provide information on their substantial US owners to the relevant withholding agent. Pursuant to delegated authority, regulations providing guidance on the due diligence, reporting, and withholding obligations under FATCA were passed and came into effect on 17 January 2013 (the "Regulations"). All Cayman incorporated insurance and reinsurance companies (both referred to herein as "insurance companies") will be affected as either FFIs or NFFEs. To understand the approach that will be taken in the Cayman Islands, it is helpful first to have a high level understanding of the FATCA regime. What exactly is an FFI? (c) is engaged (or holding itself out as being engaged) primarily in the business of investing, reinvesting, or trading in securities, partnership interests, commodities, or any interest in such securities, partnership interests, or commodities. What happens if you are an FFI? Section 1471(a) of the Code requires any withholding agent to withhold 30 per cent of any withholdable payment to an FFI that does not meet the requirements of section 1471(b). An FFI meets the requirements of section 1471(b) if it either: (i) enters into an agreement with the IRS to perform certain obligations (an "FFI agreement") or, (ii) meets requirements prescribed by the Treasury Department and the IRS to be deemed to comply with the requirements of section 1471(b) including pursuant to the terms of an intergovernmental agreement (see further below). An FFI that enters into an FFI agreement (a "participating FFI") is required to identify its US accounts and comply with verification and due diligence procedures prescribed by the Secretary. (a) "US account" is defined as any financial account held by one or more specified US persons or US owned foreign entities, subject to certain exceptions. (b) "Withholdable payment" is defined to mean, subject to certain exceptions: (i) any payment of interest, dividends, rents, salaries, wages, premiums, annuities, compensations, remunerations, emoluments, and other fixed or determinable annual or periodical gains, profits, and income, if such payment is from sources within the US; and (ii) any gross proceeds from the sale or other disposition of any property of a type which can produce interest or dividends from sources within the US. (c) "Financial account" means, except as otherwise provided by the Secretary, any depository account, any custodial account, and any equity or debt interest in an FFI, other than interests that are regularly traded on an established securities market. "Specified US person" and "US owned foreign entity" are also defined terms but it is not necessary here to recite those definitions. What does it mean to be an NFFE? Section 1472(a) requires a withholding agent to withhold 30 per cent of any withholdable payment to an NFFE if the payment is beneficially owned by the NFFE or another NFFE, unless the requirements of section 1472(b) are met with respect to the beneficial owner of the payment. An NFFE is defined as any foreign entity that is not a financial institution. (c) the withholding agent reports the information provided to the IRS. Under the Regulations, the withholding obligation commences on 1 January 2014. However, this has recently been delayed (see further below). The US Treasury has developed with foreign governments two model intergovernmental agreements. The effect of these agreements is that the key provisions of FATCA will be enacted into local law so as to remove any local legal impediments to FATCA compliance and to streamline the obligations of an FFI in a manner consistent with local law. The Cayman Islands Government has committed to signing, and has agreed the terms of, a model 1 intergovernmental agreement (a "Model 1 IGA") with the US Treasury, which is anticipated will be signed in the autumn of 2013. Although the Cayman Model 1 IGA has not yet been published, the current standard form of the Model 1 IGA (which is on the US Treasury website) will require the Cayman Islands Government to enact laws requiring the identification and reporting of information about US accounts to FATCA standards as set out in the Model 1 IGA itself. Unless there is an available exemption, Cayman FFIs subject to the Model 1 IGA will be required to identify US accounts and report specified information about those US accounts to the Cayman reporting authority. The Cayman reporting authority would then pass this information to the IRS on an automatic basis. As an incentive to countries to take up this option, the Model 1 IGA is structured so as to simplify a number of the obligations that would otherwise apply to FFIs pursuant to the Code and the Regulations. Cayman FFIs that comply with the laws implemented pursuant to the Cayman Model 1 IGA will be treated as satisfying the due diligence and reporting requirements of FATCA. As such, those FFIs will not need to comply with the Regulations and will instead be 'deemed compliant' with the requirements of FATCA as outlined above. The Model 1 IGA uses the term 'Financial Institution' instead of FFI (they are equivalent concepts) and is defined to mean a Custodial Institution, a Depository Institution, an Investment Entity, or a Specified Insurance Company. Broadly speaking, the first three defined terms are as one might expect so they will not be examined further in this article. (a) "Specified Insurance Company" is defined in the Model 1 IGA as any entity that is an insurance company (or the holding company of an insurance company) that issues, or is obligated to make payments with respect to, a Cash Value Insurance Contract or an Annuity Contract. (b) "Cash Value Insurance Contract" is defined as an Insurance Contract (other than an indemnity reinsurance contract between two insurance companies) that has a Cash Value greater than $50,000, and 'Cash Value' means the greater of (i) the amount that the policyholder is entitled to receive upon surrender or termination of the contract (determined without reduction for any surrender charge or policy loan), and (ii) the amount the policyholder can borrow under or with regard to the contract. (c) "Insurance Contract" means a contract (other than an Annuity Contract) under which the issuer agrees to pay an amount upon the occurrence of a specified contingency involving mortality, morbidity, accident, liability, or property risk. (d) "Annuity Contract" means a contract under which the issuer agrees to make payments for a period of time determined in whole or in part by reference to the life expectancy of one or more individuals. The term also includes a contract that is considered to be an Annuity Contract in accordance with the law, regulation, or practice of the jurisdiction in which the contract was issued, and under which the issuer agrees to make payments for a term of years. Will a Cayman insurance company be a Financial Institution? As the Cayman Islands Government has committed to signing a Model 1 IGA, any Cayman incorporated insurance company need only look to the Model 1 IGA itself and the related enabling legislation (when enacted) to determine first, if they are in scope and second, what their obligations might be. Fortunately, the Model 1 IGA follows an approach similar to that taken in the Regulations, which is that most Cayman insurance companies will not be considered Financial Institutions under the Model 1 IGA, provided they are not in the business of issuing Annuity Contracts or Cash Value Insurance Contracts and provided also that they are not otherwise a Custodial Institution, a Depository Institution (which includes an insurance company that issues GICs) or an Investment Entity. It follows then that those insurance companies will not be subject to the reporting regime imposed on Financial Institutions in the Model 1 IGA. What are the obligations on an NFFE? The good news is that an insurance company is probably not going to be a Financial Institution under the Model 1 IGA. The less good news is that any such insurance company will then constitute an NFFE under the Regulations. Strictly speaking, there will be no Cayman law obligations on NFFEs because there are no provisions in the Model 1 IGA dealing with NFFEs. However, the Regulations impose obligations on US withholding agents to withhold when making withholdable payments to NFFEs, unless the relevant NFFE provides information about substantial US owners. For an NFFE to avoid the withholding, it must provide the information required of it by the withholding agent. Are there any exceptions to withholding on payments to NFFEs? (c) the withholding agent reports the relevant information relating to any substantial US owners of the beneficial owner of such payment. (d) an entity where less than 50 per cent of its gross income for the preceding calendar year is passive income and less than 50 per cent of the weighted average percentage of assets (tested quarterly) held by it are assets that produce or are held for the production of passive income (an "Active NFFE"). A Cayman insurance company which satisfies the requirements of the publicly traded corporation exception will be able to receive withholdable payments free of withholding. A Cayman insurance company which does not meet the publicly traded corporation exception might seek to rely upon the Active NFFE exception. This, however, is not free of difficulty as there is the percentage test outlined above. In addition, "passive income" is defined to include "amounts earned by an insurance company in connection with its reserves for insurance and annuity contracts". Given the way insurance companies are typically set up, it would appear difficult for most to meet the Active NFFE requirements. What if no exceptions are available to the NFFE? If subject to the NFFE withholding regime, the withholding agent is required to withhold unless the NFFE (i) certifies that it has no "substantial US owners" (any specified US person who holds, directly or indirectly, more than 10 per cent of the shares (by vote or by value), or (ii) provides the withholding agent with the name, address, and TIN of each substantial US owner. The withholding agent must also not know, or have reason to know, that any information provided as aforesaid by the NFFE is incorrect, and it must report the information provided to the IRS. As noted above, withholdable payments include US source interest, dividends and premiums. Withholding agents would include any US custodian which holds investments on behalf of a Cayman insurance company, any US bank which holds cash for a Cayman insurance company, any US broker sourcing business for a Cayman insurance company, any US insurer which cedes business to a Cayman reinsurer and any US person paying premiums to a Cayman insurer. Each such withholding agent would be subject to the withholding requirements of FATCA. The register of members of Cayman companies is not a public document. In addition, it would be unusual for a Cayman company to include in its articles of association a power for the board to be able to disclose the identity of shareholders to withholding agents (especially unaffiliated third party withholding agents). In some instances, the owners of the insurance company might be well known publicly, so disclosure will be less of an issue. However, in other instances this could be problematic. For a captive that is permitted to write direct into the US, each of its insureds will potentially be withholding agents. Query how many of those insureds are aware that they will become withholding agents and are familiar with their FATCA responsibilities. Each withholding agent who fails to withhold as required is potentially liable for the tax that ought to have been withheld. The form now having been agreed, it is anticipated that the Cayman Model 1 IGA will be signed in the autumn of 2013. Once signed, work will begin in earnest to pass the necessary legislation to hardwire the IGA regime into local Cayman law. While it is not expected that there will be much substantive change (based upon pronouncements from the US Treasury), industry participants should take advice on the scope of the Cayman Model 1 IGA once signed and published, and follow the development of the related domestic legislation in Cayman as certain definitions may be fine-tuned and that in turn may affect which Financial Institutions are in scope and which are out. Currently, the standard form Model 1 IGA does not deal with NFFEs. It is not known whether this will be changed in the future to create direct reporting obligations on NFFEs. In July 2013, the IRS published Notice 2013-43 entitled, "Revised Timeline and Other Guidance Regarding the Implementation of FATCA". While previously the withholding obligation would have applied to payments made after 30 December 2013, withholding agents generally now will only be required to begin withholding on withholdable payments made after 30 June 2014. For Cayman insurance companies, the additional time is well received as there is now more time to consider and prepare for the impact of FATCA. The IRS Notice introduces no changes to how the NFFE regime is expected to operate.